Self-healing: Can we think ourselves better? We all know that a grazed knee or a broken bone can mend. Our cells are constantly regenerating to keep us healthy. Our bodies have an amazing capacity for self-healing. So, what if we could harness this power and think ourselves better? 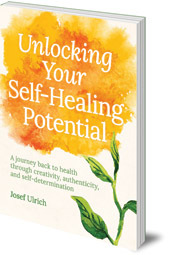 In this abridged extract from Unlocking Your Self-Healing Potential, anthroposophical therapist Josef Ulrich argues that our mental approach to illness can have an astounding effect on our response to treatment and our potential recovery. Based on experiences with his own patients, he demonstrates how important it can be to treat both the illness and the individual. What Powers of Healing Lie Within? Imagine a hundred patients with the same medical diagnosis: a tumour at exactly the same stage of progression. Imagine that each receives exactly the same form of treatment according to the latest medical standard. Will the outcome be the same for all of them? Almost everyone replies ‘no’ to this question. Of course not, they say. I once had a group of health insurers and politicians visiting the therapy centre at our clinic, and I asked them why they thought the same treatment has such different results. Their spontaneous answer was that it was because people themselves are so different. When I pursued this further and asked them in what way people were different, they cited two factors: outlook and constitution. Each of us has our own nature, our own being. The differences between people, our individual mental, emotional and physical constitutions, are a very significant factor in illness and the process of recovery. We are intrinsically different from each other. Let us therefore examine more closely this primary element of variability in relation to healing. If, given our magnificent specialised medical knowledge, we focus exclusively on the biochemistry of the body, our minds can become filled to such an extent with this highly complex biochemical level of reality that we can lose sight of all other contexts. Beside measurable objective phenomena, it starts to seem unimportant how the body’s present condition may have developed over time, and how this has been affected by inward and outward factors. The medical system diagnoses symptoms of illness, and decides these symptoms must be eradicated. This can lead us to working only on tackling symptoms – which demonstrably does extend survival time and can enhance quality of life. 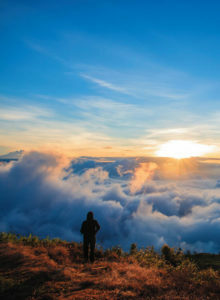 But if we seek an enduring, sustained process of healing that reaches deeper than the outward signs of illness – the symptoms – and tries to comprehend the underlying causes, we must concern ourselves also with the patient’s individual circumstances. We must integrate real experiences or we run the risk of overlooking the patient’s own life and outlook. The context of treatment is also vital. We know from the placebo effect that the impact of the doctor–patient relationship is considerable. The expectations of patients and doctors and the attitude of the doctor towards the medicine all have effects. Rather than surrendering to the technology of medicine, every person can actively affect their own health and can support their healing forces. There is never only an illness, always a person and an illness. The person and the illness are a dual unity: they must be considered separately and together. 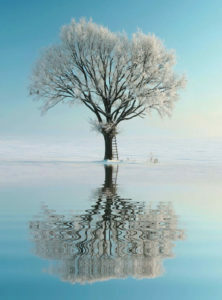 Just as the patient and illness are a dual unity, the patient’s physical life and their soul or spiritual being are also a dual unity, to be considered both separately and together. In a journey through illness, your inner state will be affected by your feelings about the treatment you’re receiving: by whether or not you can affirm and accept it. Many patients say that they feel required to comply with what is prescribed for them. They speak as though they have landed in a system that processes them, as though they have lost their own power to decide. Many patients feel, ‘Well, I will just have to go along with all this, get it over with, wait and see, perhaps I will recover.’ They take on a mindset in which recovery is almost nothing to do with them. Hopefully these patients will indeed recover. Yet if we acknowledge the power of the mind in our own health, we can see that our own deeply help beliefs about whether our treatment will help us or harm us must make a significant difference to the outcome. Unlocking Your Self-Healing Potential is a practical book showing us how to harness our bodies innate ability for self-healing. This beautiful guide is filled with inspiring case studies, exercises, observations and check lists. Learn how we can become a contributor to our own recovery.